Electrode method, easy to use. Scope of measurement 0~ 4000 NTU. 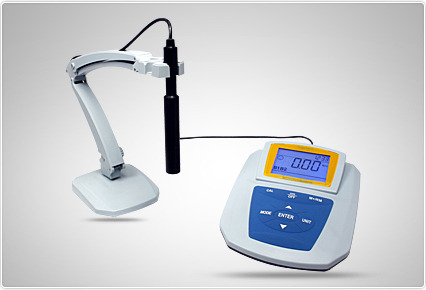 Electrode method, easy to use, no need sampling, directly measuring turbidity of sample. 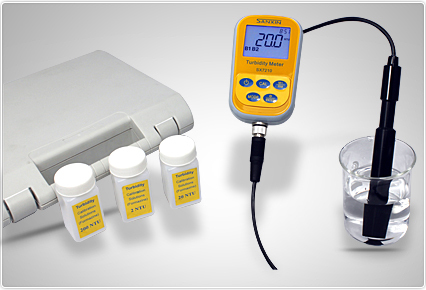 Employ turbidity electrode with the special structure based on IR 90° scattered light measurement principle. ntelligent chip design, automatic calibration, automatic setup to zero and automatic switches of measurement range, data storage, RS232 output, time display, function setup, etc. Meet turbidity sample measurement requirement of EPA180.1 and ISO7027. Meet turbidity testing criteria of American Society of Brewing Chemists(ASBC) and European Brewery Convention (EBC). Options of the units such as NTU, FTU, ASBC, EBC, etc. Scope of measurement 0~ 2000 NTU. Options of NTU，FTU，ASBC and BC. Meter meets IP57 waterproof ratig, equipped with calibration solution and portable case. Intelligent chip design, automatic calibration, automatic setup to zero and automatic switches of measurement range, data storage,, time display, function setup, etc. Meter meets IP57 waterproof rating, equipped with calibration solution and portable case.